The Vertigo Project by Irish photo artist Jean Curran is now on show at the Danziger Gallery in New York – one of the leading photography venues in the world. The artist takes key scenes from Alfred Hitchcock’s Vertigo to reveal the cinematographic artistry of the film, considered his greatest achievement. In full co-operation with the Hitchcock estate Curran edited select frames from a rare original technicolour print. She then printed them using the same dye transfer process with which the film was made. The switch from moving picture to still prints created a medium jumping work in its own right. 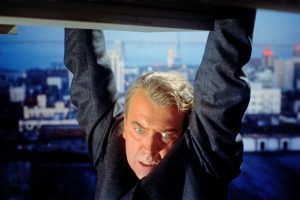 The 20 still images feature the stars of the 1958 film, James Stewart and Kim Novak. The New York exhibition runs to January 26. Over 100,000 postcards will be offered by Whyte’s in Dublin on January 26. The collection was formed by Dubliner, Seamus Kearns (1929-2014). He began collecting stamps in the 1930s and fell in love with old postcards in the 1950s, since when he started amassing this collection. A founder of the Irish Picture Postcard Society, he provided many exhibitions around the country, including a major show at The Guinness Hopstore in 1994. The main value is in Irish topographical and historical Irish cards – views of villages and towns from the early 1900s to the 1950s as well as historic events such as the 1916 rising. With the advent of texting and selfies the sales of postcards have gone into decline but this collection shows what we are missing today – not only the wonderful images but also the thoughtful messages. 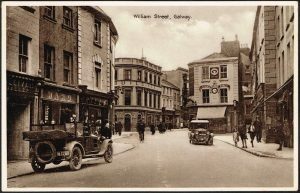 Pictured is a card showing William St., Galway in by gone days. A bit of Christmas nostalgia for our readers, to whom we wish a very happy Christmas. 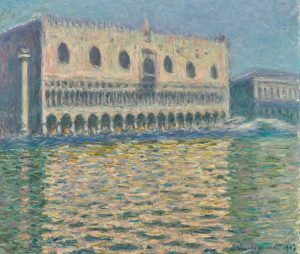 Claude Monet arrived in Venice on 1 October 1908 – and, taken aback by the splendour of what he saw, the artist declared the city ‘too beautiful to paint’. Enchanted by the city, Monet painted just under forty canvases during the course of his three month stay, the greater part of which adorn the walls of museums across the globe. This one depicts the historic Gothic façade of the Doge’s palace, and it belongs to a celebrated group of three works painted from the vantage of a boat moored along the canal, one of which is held in the collection of the Brooklyn Museum in New York. 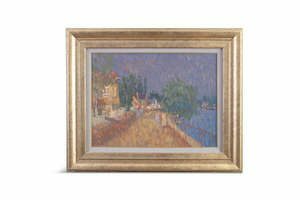 Painted in 1908 Le Palais Ducal is estimated at £20-30 million. Auctions at Sotheby’s worldwide totalled $5.3 billion in 2018. This is a 12% increase over 2017. Online buyers spent more than $200 million this year and 25% of all lots sold in 2018 were sold online. 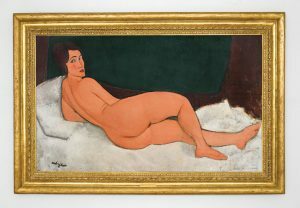 The top lot of the year at any auction house was Modigliani’s Nu Couche which sold for $157.2 million in New York in May. This was the highest auction price in Sotheby’s history. 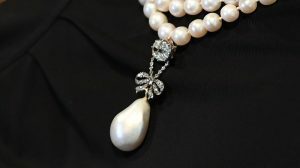 Queen Marie Antoinette’s pearl sold for $36.2 million in Geneva in November. Forget Ireland in winter. 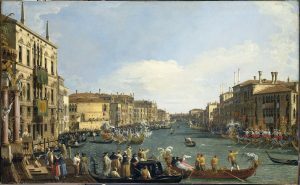 A chance to lose yourself in 18th century Venice in summer is now available at the National Gallery of Ireland where Canaletto and the Art of Venice is on view until March 24. Many iconic landmarks like the Piazza San Marco, the Rialto Bridge and the Grand Canal feature in this show of nearly 100 works by Canaletto and contemporaries including Sebastiano and Marco Ricci, Francesco Zuccarelli and Giovanni Batista Piazzetta. The colour, drama and energy of Venice is conveyed through paintings, drawings and prints. 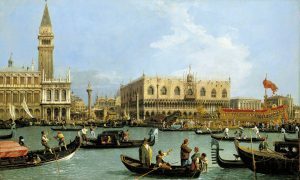 A highpoint is the display of all twelve of Canaletto’s Grand Canal series. The works have been lent by Queen Elizabeth II from the Royal Collection, one of the most important collections in the world. 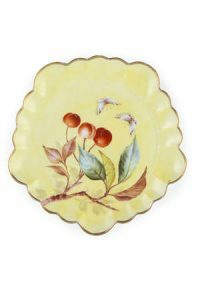 Most of them were acquired by George III directly from Joseph Smith, British Consul in Venice, a passionate collector and support of Venetian artists and Canaletto’s most enthusiastic patron. The show is curated by Anne Hodge of the National Gallery of Ireland. Canaletto (1697–1768) The Bacino di San Marco on Ascension Day c1733-4 Royal Collection Trust/ © Her Majesty Queen Elizabeth II 2018. 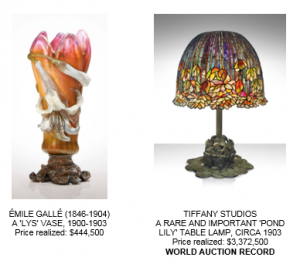 There was a new world auction record to Tiffany Studios at Christie’s Design auction in New York when a rare Pond Lily lamp made $3.3 million. The lamp dates to c1903. The sale totalled $8.4 million and was sold 84% by lot and 96% by value. 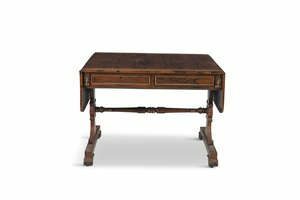 A three part centrepiece by Francois Xavier Lalanne made $250,000 over a top estiamte of $150,000 and an urn by Frank Lloyd Wright made $567,500. A single owner French Art Nouveau glass sale Masterpieces in Glass: The Nakamoto Collection brought in $2.7 million. The top lot of this auciton was a Lys vase by Émile Gallé which sold for $444,500. This is the second highest press ever achieved for Galle. 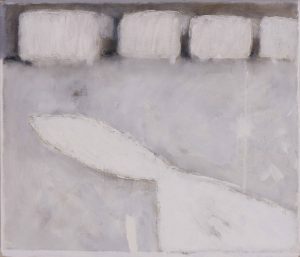 Sly White Fox and Four Sheep by John Shinnors sold for 6.600 at Whyte’s sale of Important Irish Art last week. Adult Reading at Artist’s Bedtime, which has just been published by Gandon Editions, recounts how the renowned Limerick artist was first inspired to paint animals. It happened one afternoon years ago when he went to do some plein air painting by the river. He had walked through a field of cows and, though absorbed in what he was doing, felt a presence behind him. He turned to find almost the whole herd of friesians had gathered, jockeying for position, as if to judge the work. “It then dawned on me that I was painting the wrong thing. whistling I quietly turned the easel about and put up a new canvas board It was as if I really observed them for the 1st time”. A key created by James Joyce to help his friends keep track of Ulysses comes up at Sotheby’s book sale in London on December 10. Seven copies were produced in total as the author ever wanted it to be shared too widely. In his words ‘If I give it all up immediately, I’d lose my immortality. I’ve put in so many enigmas and puzzles that it will keep the professors busy for centuries arguing over what I meant”. However by 1930 it has been seen so widely that Joyce allowed its publication. Another lot in the sale is the latchkey to Leopold Bloom’s fictional home at 7 Eccles Street, Dublin. In Ulysses, Bloom’s missing latchkey has been interpreted in Freudian terms as a symbol of his loss of potency, and in political terms as a synecdoche of Irish dispossession before Independence, but given Joyce’s careful mapping of Dublin in the novel it is also a key to a real front door – the home of one of Joyce’s friends. The key was rescued by a Joyce scholar when the house was demolished in the 1960s. The house’s front door was also reclaimed and is now exhibited at Dublin’s James Joyce Centre. 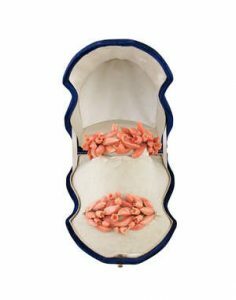 A little more background on the story of the key in Ulysses – Bloom leaves his latchkey behind in the pocket of yesterday’s trousers when he departs from his home at the beginning of his day’s odyssey. He had reminded himself several times to pick up the key before going out, and his annoyance at his own forgetfulness recurs several times in the novel. Finally, when Bloom staggers home in the early hours of the morning with Stephen Dedalus , he puts his hand in his empty pocket to retrieve his key, so he has to hop the fence and come in by the back door. The current example is one of three copies of the definitive English schema to precede the novel’s publication, the other two being for the translator Valery Larbaud and the publisher Sylvia Beach. The online sale runs December 10. UPDATE: The schema sold for £47,500, the key for £7,500.